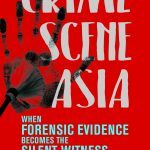 It was early February this year and I had Readings St Kilda booked for a May launch of my third forensic science book Crime Scene Asia: when forensic evidence becomes the silent witness. Then it all went to hell. I found out that my Singapore publisher’s deal with their Australian distributor, Penguin, had died quietly a couple of years ago – possibly just after the ink on my contract had dried. I had no way to get my books into Australia, let alone into St Kilda. It had all seemed so easy back in late 2014 when I had signed with Marshall Cavendish. Having decided to do a book featuring predominantly Asian cases, it had seemed logical to choose a Singapore publisher. Negotiations with them had been straightforward. I had asked for the Australian rights (I was thinking of offering the book to Clan Destine, who had republished my 1995 novel Unnatural Order as an e-book). But Marshall Cavendish refused on the basis that Penguin Books was their Australian distributor. I didn’t argue. Penguin are a good outfit, I thought. So what could go wrong? I blame myself for being too relaxed about it all. If I had been a micro-managing type who checks up on everything, I would have known. But I had never needed to do this with Pan MacMillan, publishers of my first two forensic books: Written On The Skin – an Australian forensic casebook and Cold Case Files: past crimes solved by forensic science. The Marshall Cavendish publishing directors were deeply apologetic. They offered to give me the rights back or to find me an Australian publisher. In a temper, I grabbed the rights back. Over the next week I received a crash course in the complexities of publishing. I found the names of local book distributors and started calling. But I’m a writer not a businesswoman. I didn’t want to become a book importer. Worse was to come, when I realised that my ownership of the Australian rights to my own book meant that Australians would not be able to use Book Depository to buy my book. 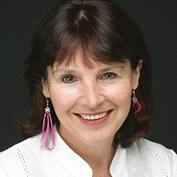 Nor could Australian bookstores use Marshall Cavendish’s UK distributor to order the book (if that were even possible). My head was spinning. I sent Marshall Cavendish a curt email to say they could have the bloody rights back. Within moments an email pinged back. They had found me an Australian publisher. Because my book also has Australian stories, Sydney-based Big Sky were happy to publish it. They would have the books ready for a 20 June launch. And with the same cover as the Singapore edition, which I loved. “All’s well that ends well,” I tell myself. But I don’t think I’ll use an overseas publisher again.